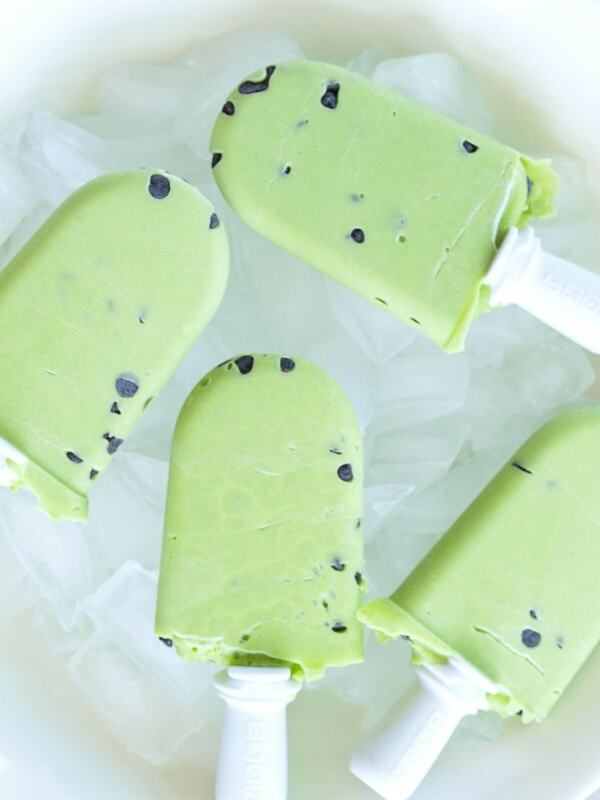 So I added frozen peas to these pops. 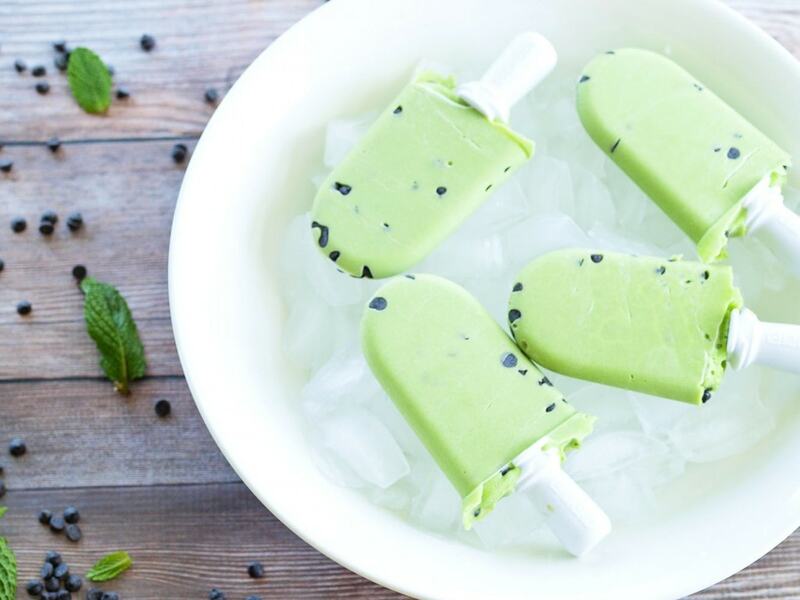 I thought a mint popsicle would be the perfect place to add peas.They naturally make these green and add nutrients. You’re getting fiber, protein, vitamin A, vitamin C, iron, vitamin B-6, and magnesium from the peas. All good things to be added to a special treat, wouldn’t you say? There is a tiny drawback to adding them to the popsicles. The texture is slightly compromised and they aren’t as creamy. This was Tim’s biggest gripe about these Mint Chocolate Chip Pea Pops…not creamy enough. The kids and I shrugged our shoulders and kept enjoying our treats while he wondered how to make them creamier. Well, if that’s you, go ahead and take out the peas. I’ll take the extra nutrition. Both Meghan and Luke loved these. They are very fresh-tasting with the fresh mint, and of course the chocolate chips pair perfectly with the mint flavor. As far as the taste goes, you would never know the peas are there. I used vanilla-flavored Silk non dairy yogurt alternative for these, but you can use regular yogurt as well. If you prefer to use plain yogurt, you can sweeten them on your own with maple syrup or honey. This recipe could not be easier. Blend three ingredients together, pour to be frozen, add the chocolate chips, and you’re done! They make a great special treat on warm days. I should also note that I used my Zoku Quick Pop Maker to make these frozen treats. This is my favorite way to make frozen popsicles, by far. They are ready in seven minutes! Can all the busy mamas out there give me a hallelujah! This pop maker really feeds into my lack of planning-ahead skills. And the random popsicle requests from my littles, who want them ASAP. I really love this thing. Regular popsicles molds will work, too, of course, you’ll just have to wait a lot longer. 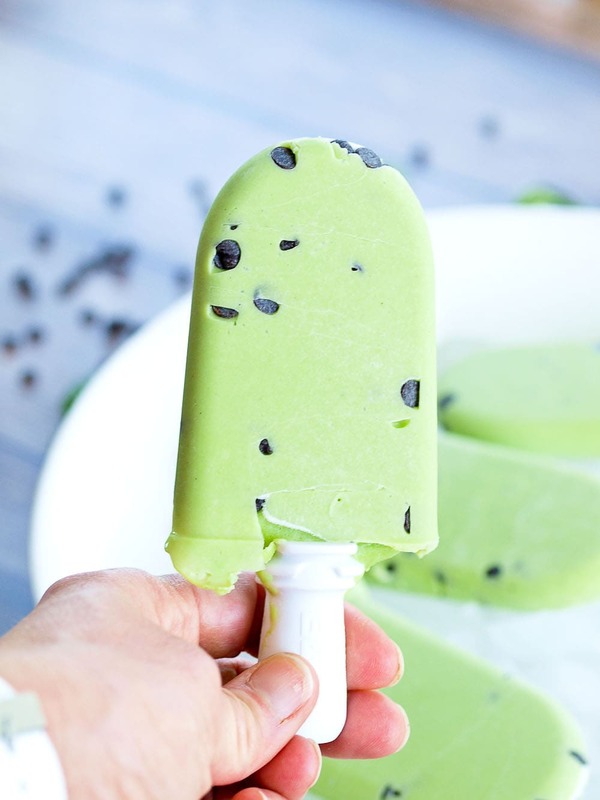 These Mint Chocolate Chip Pea Pops are made with just four ingredients and have a hidden vegetable inside–peas! Nobody will know they are there and they add nutrients to this special treat. Place the yogurt, peas, and mint in a blender and blend well. Add a few chocolate chips to each popsicle mold. Pour a small amount of the mixture into the popsicle mold. Add more chocolate chips. Continue to alternate the mint mixture and chocolate chips until the molds are full. 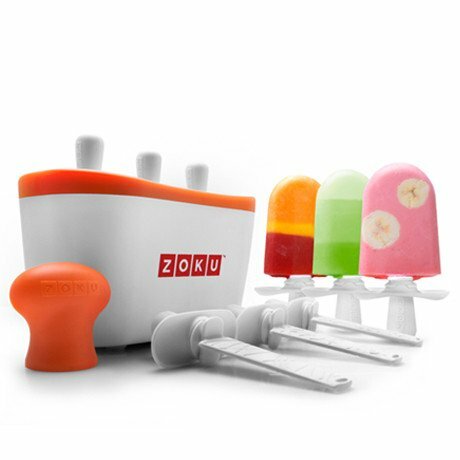 If using a Zoku maker, wait about 7 minutes and remove the frozen pops. If using molds, freeze at least 4-5 hours before removing from molds. Links to products are affiliate links, which means that if you purchase through the link, at no extra cost to you, I will receive a purchase of the sale. 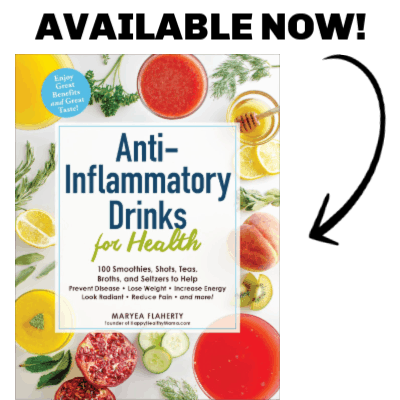 Thank you for supporting Happy Healthy Mama! These look amazing! If you were to add a touch of matcha, they will become greener :). Can I just say: THE COLOR!!! These look like a real treat! I’m with M here, not a fan of peppermint, but I LOVE our Moroccan mint. It’s great for cooking and salads. What a cool idea! I never would have thought to make this. Thanks for sharing. Would Greek yogurt change the consistency, in a good way or a bad way? I don’t think it would make a huge difference.